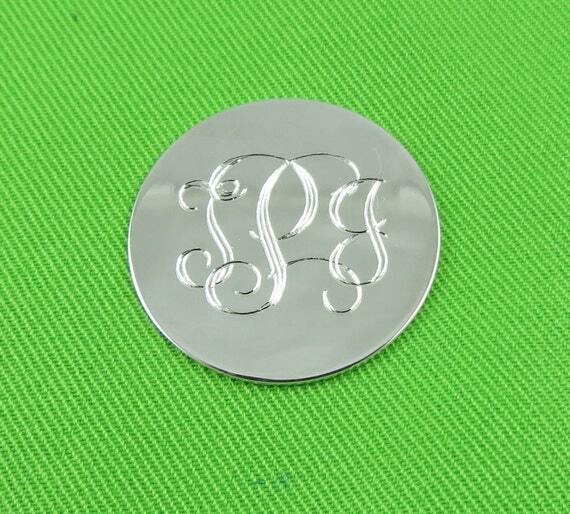 This hand crafted personalized golf ball marker is hand cut from 18 gauge sterling silver and measures 1 1/8" in diameter. 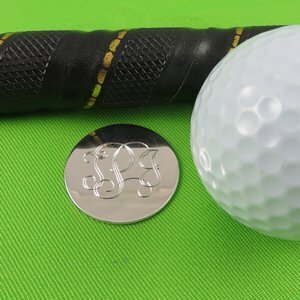 The front of the marker is personalized with recipients monogram and the back has a "be the ball" message engraved to remind the putter to concentrate. 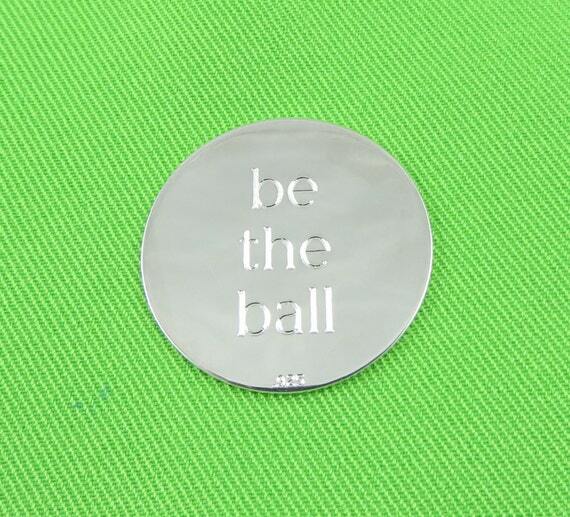 The back side of the golf ball marker can also be personalized with your own words if you choose. The marker is set in a gorgeous velour gift box with cut out and pull tab to lift marker. This golf ball marker will make an impressive golfer gift for any golf lover in your life. Groomsmen, co-worker, men, ladies, mom, dad, brother, sister etc. Please include initials to be monogrammed in the Notes to Seller box during checkout.